Manik Digital Photo Studio will help our clients to look their best, will keep their photos up-to-date, and will capture the special moments of their lives. All of our pictures are created in a high-resolution digital format, from which our prints are made. Higher-quality digital photos and prints carry full pricing. We will retain the high-resolution data and clients can order more copies from us if they wish. 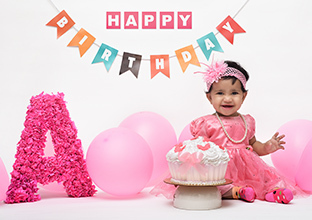 Our photo studio includes quality props for portraits and baby, child and pet photography. The physical environment of the studio is fun and accessible, making families want to come here. We also regularly go to people’s homes and bring cameras and lights that are out of the budget of non-professionals. Manik Digital Photo Studio will use several digital cameras and a computer fully loaded with image-manipulating software, such as Adobe Photoshop. Our products include: Baby Pictures - Our speciality is baby pictures. We have a unique combination of props and a passion for babies. Babies are also our prime gateway product for entering families into our programs of ongoing pictures. Family Portraits - Portraits of the entire family are needed for display, to send to relatives and to use in family newsletters and websites. Most families have pets, and we can arrange family portraits that include them. While we don’t specialise in pet portraits, we have props and will take stand-alone photos of pets as well. There’s an additional charge for exotic animals. Individual Portraits - Individual portraits are commonly needed for individual and business websites, business cards, brochures and annual reports. Model’s Portfolio and Glamour Shots- Photos suitable for magazine publication. Wedding Albums- Weddings are one of the most special moments of life. Our wedding album includes up to 7 hours of wedding photography, with prints displayed in a custom photo album and digital images on CD. Annual Portrait Program We take the initiative to schedule the yearly portrait, and we replace it in last year's frame while saving previous year's photo in a portfolio. Baby Picture Program- We arrange pictures of the baby at one month, three months, six months, nine months, one year, 18 months, two years, and 2½ years. Child Portrait Program- We arrange a portrait of the child at three years, four years and five years, or until the child begins to be photographed annually for school pictures. Capturing Memories Program- We arrange an annual portrait of the family and individual pictures of each member of the family. Photos can include pets and the house and grounds if desired. Technology Our innovative approach makes the most of consumers' fascination with the latest digital imagery. By playing in this market trend, we gain new customers and provide added value, with high-quality/small file-size images our clients can easily share with friends and family members. Photographs are a window to relive old memories. Professional experts are hired to capture the moments in the best possible way. Kid’s photography, in general, is so much more fun and candid. If you are planning to hire a professional kid’s photographer in Bangalore, here’s everything you need to know. Kid’s photographer specializes in capturing the kid’s unfiltered innocence and emotions. 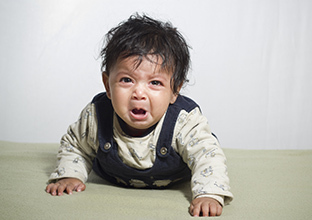 Handling a kid and expecting the same kind of cooperation is a little difficult. Keeping this in mind, experts create a friendly and fun-loving environment for the kids to enjoy. Here are some things to take care of before the photo-shoot.